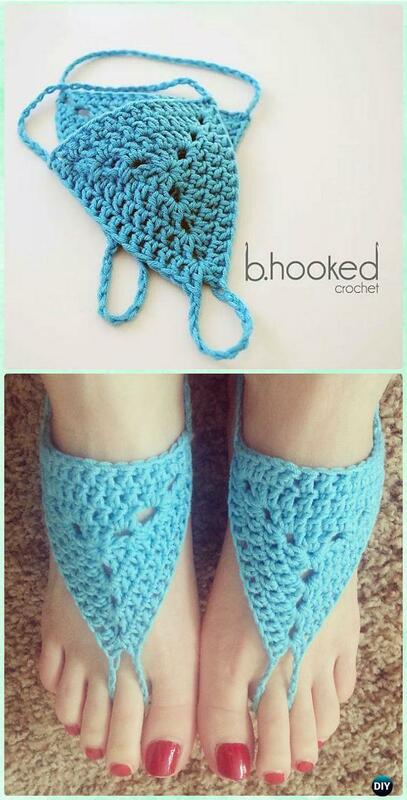 A collection of Crochet Women Barefoot Sandal Anklets Free Patterns. 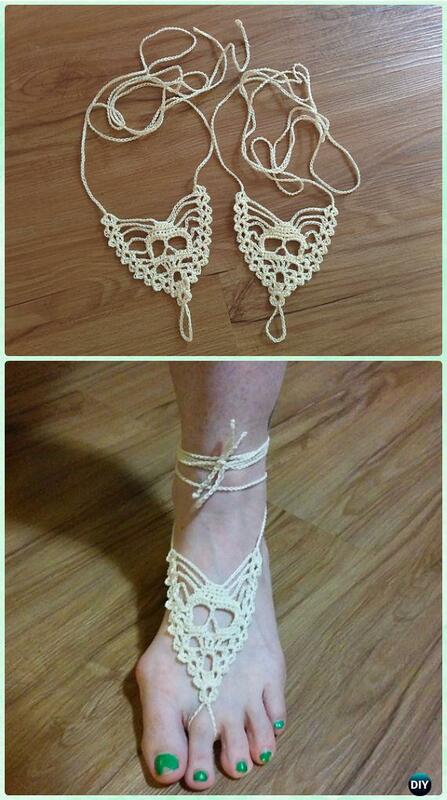 It’s the season to crochet barefoot sandals, for beach wear, or along the swimming pool. 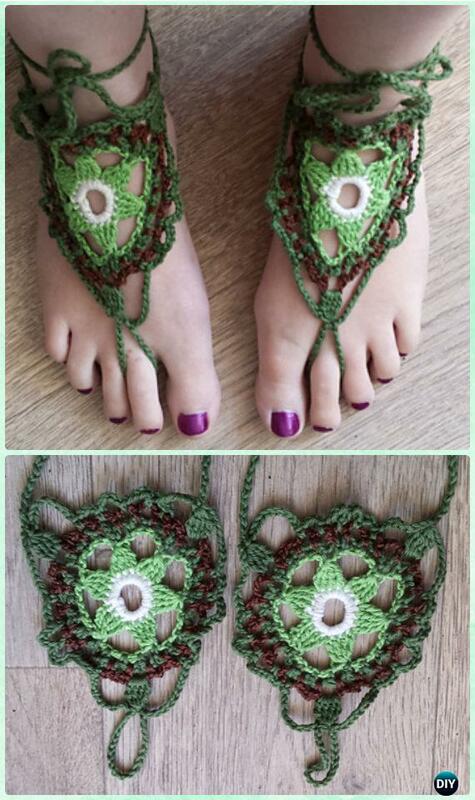 Our Crochet Channel today is going to share this sweet list of Crochet Women Barefoot Sandal Anklets to dress up your barefoot anywhere you want to show your naked feet. It’s easy to crochet with spare yarn or small hunk thread in an hour or two. Soft your feet, polish toenails, and show off your crochet pieces for Summer mood. Scroll down and see what you are going to stitch out for your next.